An updated version of the Greater Bristol Pollinator Strategy, a key element of the Get Bristol Buzzing initiative which aims to make life better for bees, butterflies and other pollinating insects in the local area, has been launched. First introduced in spring 2015 as part of Bristol’s year as European Green Capital, the strategy, which was the first local pollinator strategy in the UK, provides a mechanism for people to work together to raise awareness of the importance of the country’s 1,500 species of insect pollinators and to protect and increase their environmental habitats. The initiative is a joint project between partners Avon Wildlife Trust, Bee Bristol, Bristol City Council, Bristol Friends of the Earth, Buglife, South Gloucestershire Council, the University of Bristol and the University of the West of England. Some of the actions that have already taken place include the installation of pollinator-friendly planters in locations across Bristol and the hosting of a local 'pollinator summit' which more than 100 delegates attended. 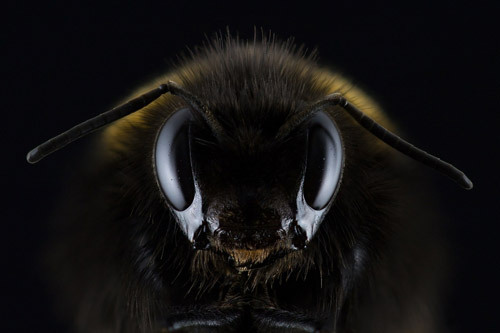 Dr Katherine Baldock, from the University of Bristol’s Urban Pollinators Project, said: "This updated Strategy sets out our aims and actions for the next four years. "Since its launch we've done lots of work locally to increase awareness of these amazing insects and the benefits they bring to all of us in terms of pollinating plants and crops. "But we've also been able to make people really aware of the threats pollinating insects are under which include loss of habitat, intensive farming, pesticides and disease. "The overarching aim behind what we're trying to achieve is to reverse the decline in insect numbers by working together to promote a more joined up approach to pollinator conservation." Andrew Whitehouse, South West Manager at Buglife, said: "We need to take urgent action to reverse the declines in our bees, butterflies, hoverflies and other pollinating insects. "By making space for wildlife in Bristol and restoring the wildflower-rich habitats that pollinators rely upon, we can make a big difference. Together we can get Bristol buzzing!"